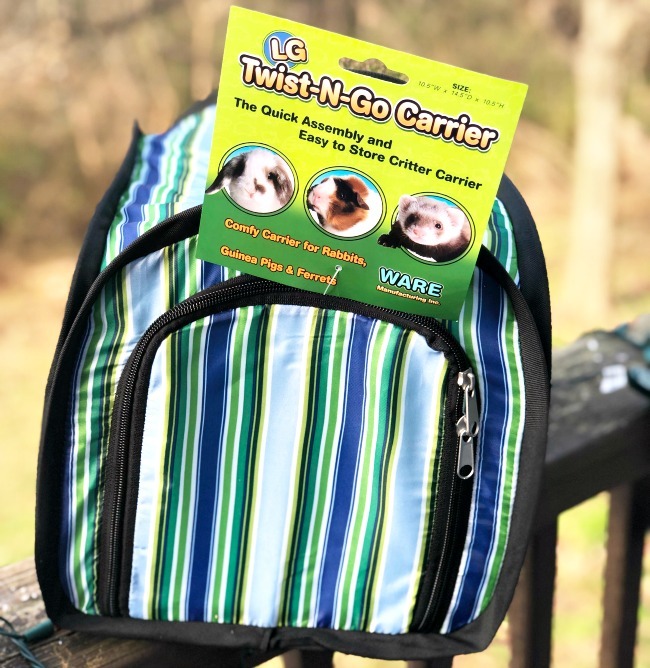 LG Twist-N-Go Carrier Comfy Carrier for Rabbits,Guinea Pigs and Ferrets-$24.99 online here ! 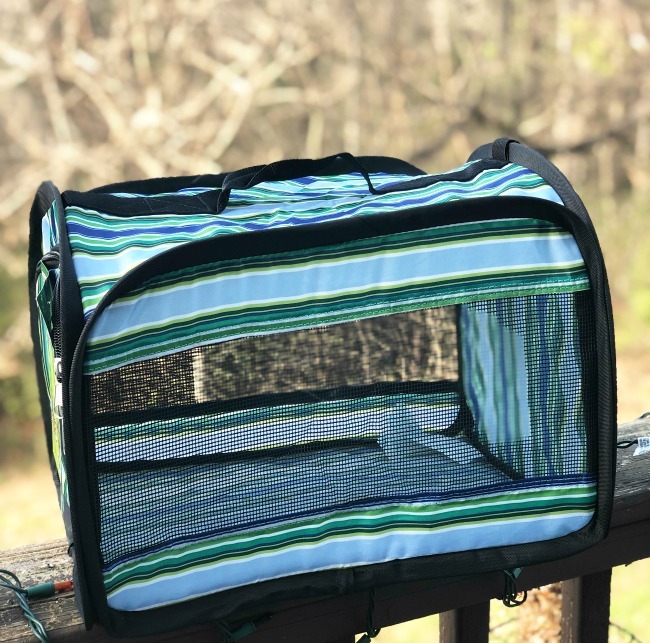 This is a great little carrier that you can literally twist to close, and twist to pop open. It expands to a great size to carry your critters. I do not have any critters anymore but I have several friends who do. They hate having to travel with them because the carriers are so bulky. I was able to close this carrier, it lays flat so you can easily slide it completely out of site. I use to have hamsters and I would use a small carrier like this to put them in while I was cleaning out their crates. It was an easy way to keep an eye on them, and they were safe. I love that it expands so big but I seriously put it my dog bin with the leashes, and their harnesses and it fit perfectly. If you know someone with a critter as part of their family, consider this for their holiday gift. Thank you so much to Ware Manufacturing for sending over this carrier. I will be giving it to a friend to use for her critter very soon!